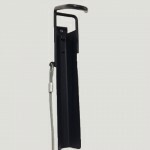 WallMax Wall Hanger | Does your Bike Room look like this? 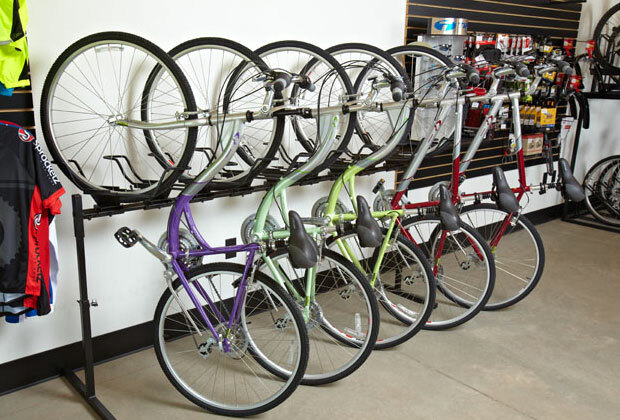 The WallMax is a wall mounted rack that holds one bike. The full tray keeps both tires from touching the wall, preventing dirt and scuff marks. Mounts directly to a wall. Works for most bike tire sizes. 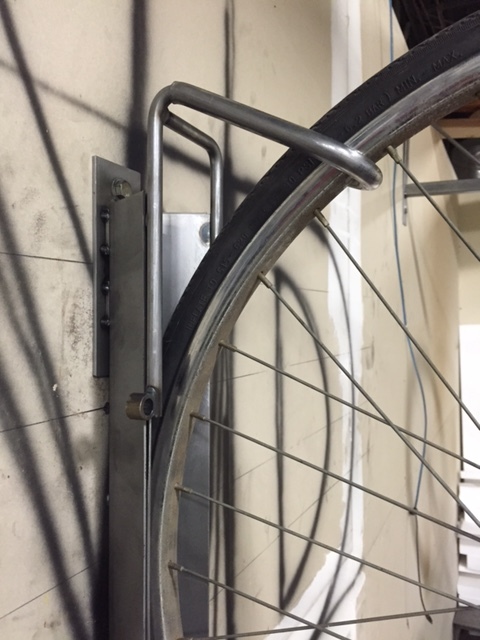 Optional full tray prevents tires from touching walls. Works with bikes with fenders. Allows for high density storage on a wall by staggering the racks. Bikes to sit close together without handlebars and pedals interfering with each other. Our WallMax is designed to be simple and easy to use. 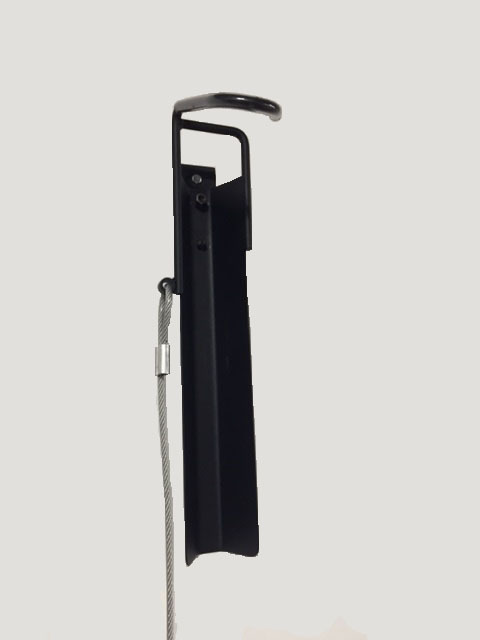 The user simply places either the front or rear tire in the hook. 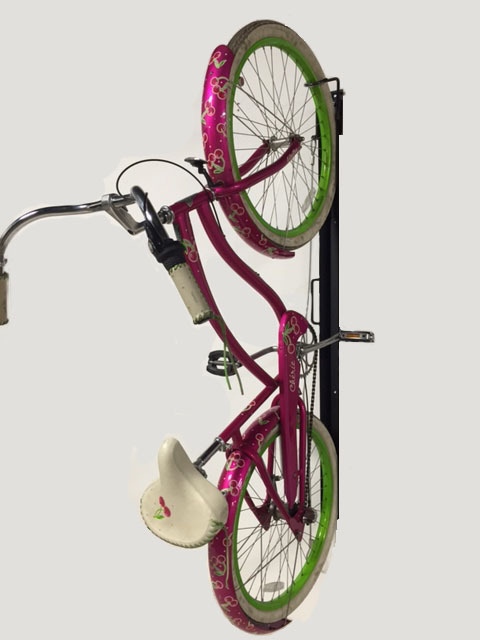 The bike hangs vertically and rests against the wall. 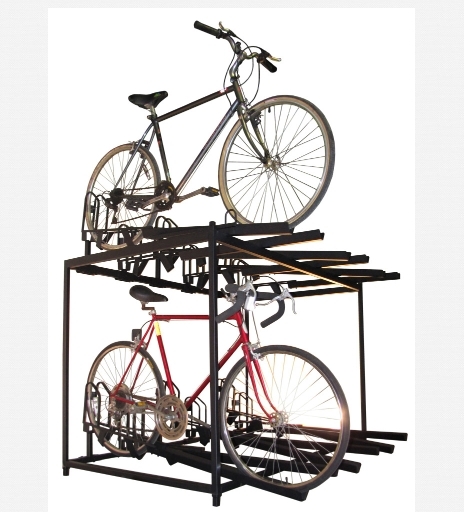 This rack can be mounted at different heights to allow the bikes to sit closer together. Recommended spacing is 12 inches, center to center. 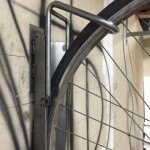 For added security, there is an optional “locking cable.” This is a heavy duty coated cable that allows the user to lock their bike to the rack. This rack can also come with an extended tray. This option should be used if the wall needs to be protected. The full tray will keep both tires from touching the wall, preventing dirt and scuff marks. We offer installation services as well as bike room planning services in your area. Please contact us for dealers near you.